The 2007 to 2015 AMC series, “Mad Men”, caught the attention of many. Especially due to the personality of one character Don Draper, and his haircut which is now known as Don Draper Haircut. 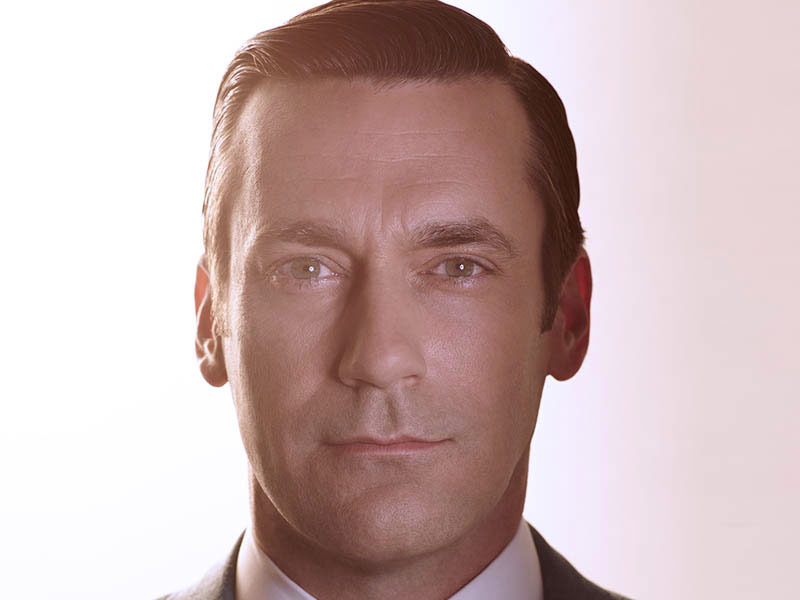 People who watch Mad Men admit that the main character made the entertainment series exquisite. Though he had some irritating traits such as being egocentric, all his positive characteristics are what people noticed most of the time. Viewers recognize Don Draper because of his business talents, charm, dressing style, not forgetting his famous haircut. He is the reason a lot of men that are his fans began copying his hairstyle and dressing code. Anyone could take his place in the film, but they cannot bring out the incredible traits the way Don Draper did. He seems to be a very influential figure because up to date, thousands of men especially those in the business field mimic his tactics since they believe that his fictional strategies could bring positive change in the real business field. It is not clear whether his grooming was one factor that spiced up his trait, but the rate at which men followed up regarding his grooming indicates that his hairstyles are one thing that fans love about him. People never seem to get enough of the Don Draper haircut. You would think that his signature haircut was just a simple style that his loyal viewers would forget with time but that is not the case. If you find his signature hairstyle classic and excellent for you, here are some tips that may help you achieve his look. But let’s first take a brief look into some of the things most people love about Don Draper. First, Draper’s hairstyle is hard to forget. It is amazing how the haircut well represented his personality. Frankly, many try to achieve the Don Draper haircut, but several attempts do fail. His classic hairstyle coupled with his masculinity is everything that men may want to be. Draper’s hair grooming is simple but still intriguing. Perhaps it is not about the haircut but the way he styles it on a daily basis by combing much of his hair to the left side of his head and brushing the side hairs backward. You would be excited at the manner in which portions of his hair align smoothly to one side. Anyone would love to hang around a man who is masculine, neat and well- groomed. Well, Draper’s fashion sense is just on another level. Any businessman can rock suits to the office and corporate meetings, but Don’s attire ever looked unique. His dressing code always brought out the manliness in him. You could tell his suits are of high quality just by glancing at them. His shirts together with thin ties of excellent designs completed the looks making him seem serious about meeting someone who is ready to make meaningful business partnerships and deals. The nature of an individual somehow determines people’s perception towards him or her. Draper’s attitude contributes to his exciting personality. 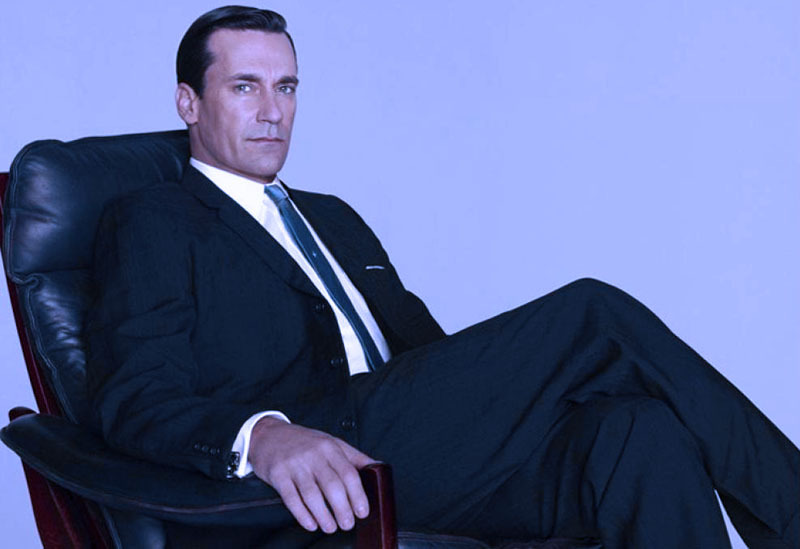 During business meetings and his moments at Sterling Cooper Company, Draper appeared bold and convincing. 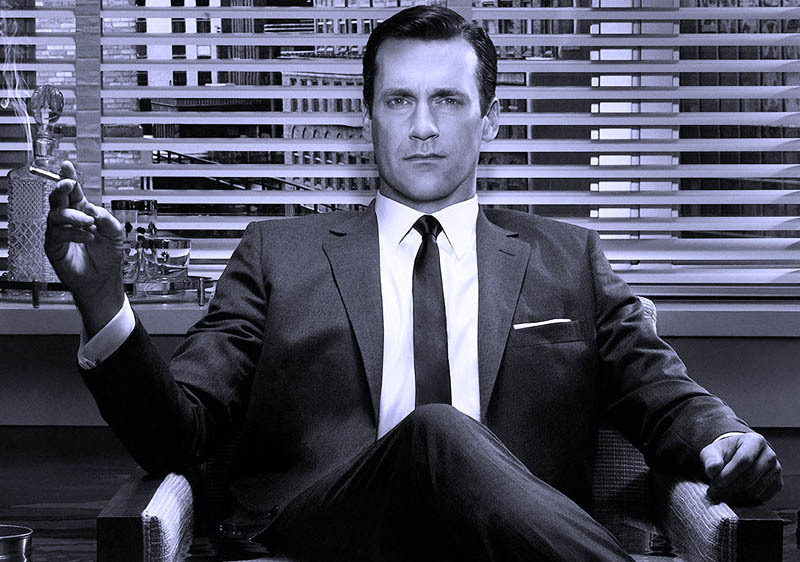 Sterling Cooper employees admired the way that Draper managed to win the hearts of numerous clients even when things seemed impossible hence increasing the company Profit. Apart from that, his confidence is an element that made him attractive to many women which accounts for his numerous accounts of infidelity. Draper’s haircut history is quite interesting. The hairstyle was common at the beginning of the 1920s through 1960. However, men never considered it a classic cut; as it associated with broke men who could not afford to even out their hair. They ended up cutting the sides leaving the front hair long and brushed to one side of the head. The men parted the hair either at the center or to one side. The hairstyle related to less fortunate men but it was later recognized as a definitive cut for modern and sophisticated men. 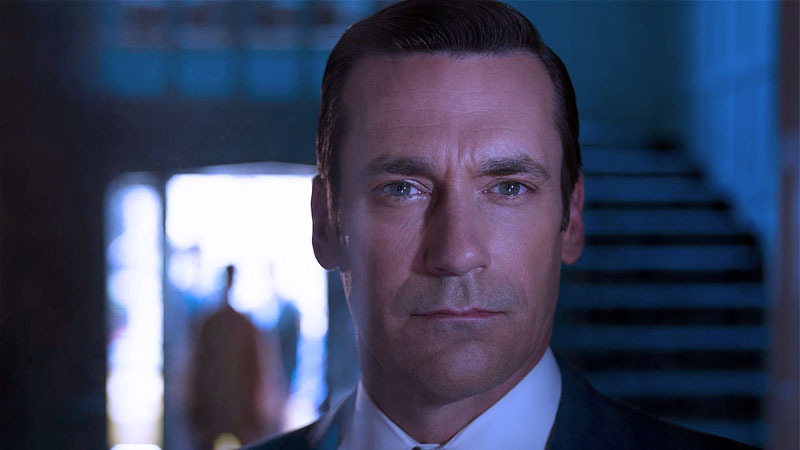 Draper’s look the similar to the style variation of the 1920s, only that he leaves a generous amount of hair on the sides. Draper’s signature hairstyle is achievable in many ways. You do not have to comb your hair the exact manner the Don combs his. As long as you have shorter hair on the sides, you would attain the look whether you decide to part your hair at the center or either of the sides. Whether you want to resemble Draper or his haircut style fits you, there are several ideas regarding how to achieve the look in less than fifteen minutes. First, tell your barber to shorten your sides and leave the top and the top of your sides longer. From there, you would be able to achieve the Draper iconic look by styling using a few hair equipment and products. Your hair has to be damp for easy combing and alignment to the side that you prefer. Wet your hair using a spray bottle or wash and drain excess water to leave it damp. Next, you should apply an appropriate hair conditioner to soften the hair and leave it partly wet for the rest of the day. After conditioning, use a narrow toothed comb to brush the top hair to your preferred side. You can either brush to the left or the right of your head. When you brush, raise the top part and push it slightly backward the finally over to the side. A hairdryer should help you part your hair at a location that you want. As for the side hair, comb it down and lock using a styling hair product such as hair gel. Use hairspray to keep the style in check for a whole day. As you can see, attaining Draper’s hair look is possible with very minimum effort. Here’s a video that may also help. To get Don Draper’s side part, you have to start with a damp hair. Use a spray bottle to wet your hair. That way, your hair should be easy to comb, design and you are likely to use small amounts of hair products. Afterward, condition your hair with the right product for your hair type. The proper conditioner keeps your hair moist for an extended period. Also, hair conditioners make it easy for you to use styling gels, lotions or hairsprays. Using your natural parting requires less effort. Suppose your natural parting is on the left, comb the front section of the hair to the left while using a hairdryer to lock it in place and vice versa. In case you want to create another part, use a styling comb that has a narrow end to get a straight line and precise part that appears neat. After partying to either side of your head, comb the sides downwards and use a styling product to lock it in place. As for the front hair comb it sideways then backward to make it align to a specific direction. Use a good hairspray to keep the hair wet throughout the day. Following the above guidelines may assist you in attaining the Draper side part without much difficulty. 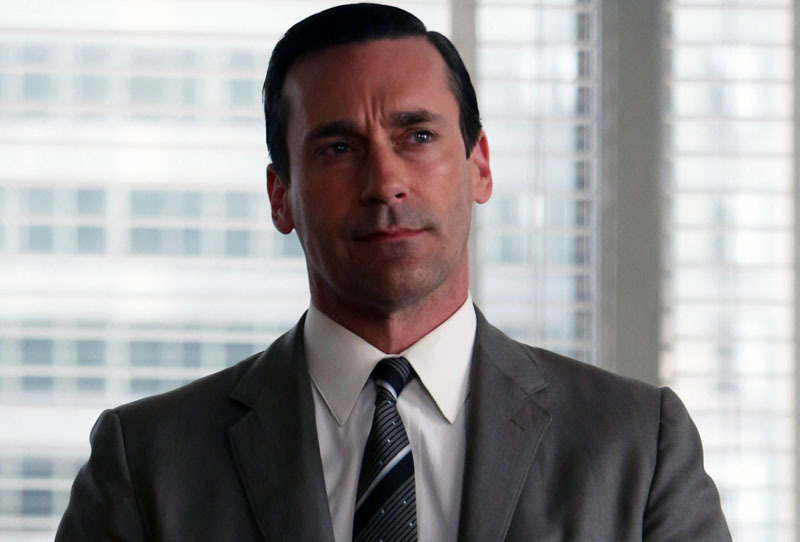 Besides Don Draper’s exquisite personality and dress code, his haircut style remains timeless. Any man can rock the Don Draper haircut regardless of his occupational field. The bottom-line is, the hairstyle is classic whether you are at the office or attending formal and informal events. Assuming you cannot achieve the iconic look by yourself, a detailed explanation to the barber should work to your advantage. Once you get the cut, styling is an easy 15 minutes process. As long as you correctly part your hair, achieving Draper’s signature should not be a problem. Dampen your hair, use the appropriate products and the style comes out with ease.